HER IVF is an experimental procedure that was developed with the intent of helping patients who carry a high risk of transmitting severe mitochondrial disorders to their children. HER IVF employs a form of mitochondrial replacement therapy (“MRT”) called “Spindle Nuclear Transfer,” through which DNA-loaded spindles that carry the patient’s genetic blueprint is transferred into a de-nucleated donor egg with healthy mitochondria. The MRT-modified egg, which in genetic terms is nearly identical to the patient’s original egg (save for the absence of diseased mitochondria replaced with the donor mitochondria which have their own DNA) is then used in an in vitro fertilization (IVF) procedure, ideally producing viable embryos that can be transferred back into the patient. Dr. Zhang received his medical degree from the Zhejiang University School of Medicine, his Master’s Degree at Birmingham University in the UK, and his Ph.D. in In-Vitro Fertilization (IVF) in the University of Cambridge, UK. He is one of few Reproductive endocrinologists in the USA to hold both a Ph.D. and an M.D. degree. Dr. Zhang is a widely recognized Medical Doctor and scientific pioneer in novel medical technologies in the area of assisted reproductive technology (ART). In 2016, Dr Zhang’s team was the first in the world to help a mother carrying genes for the devastating Mitochondrial disease have a healthy baby. His achievements also include the birth of a baby through ovarian tissue transplant surgery in 2012. Dr Zhang was named one of New York’s Top Doctors, and he holds the position of Medical Director and CEO of the New Hope Fertility Center in New York City. As the Founder and CEO of Darwin Life, Dr. Zhang continues to lead the research program on human egg reconstruction by nuclear transfer. He is currently expanding the Darwin Life research team internationally, allowing more women the opportunity to participate in clinical investigations. Dr Liu received his Medical Degree from Xi’an Jiao-tong University School of Medicine and his Master’s degree from the China Agriculture University. From 1990-1998, Dr Liu investigated gamete maturation, gamete fertilization, and embryo development in model systems at the Institute of Zoology of Chinese Academy Sciences. Afterwards, Dr Liu became a Research Scientist at the New York University Program for In Vitro Fertilization, where he developed nuclear transfer techniques for assisted reproductive technologies (ART). 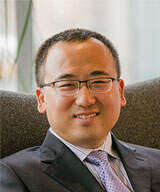 When Dr Liu joined the New Hope Fertility Center as a Senior Research Scientist, he introduced multiple techniques to the clinic and continued developing the nuclear transfer technique for human reproduction. His large body of work has led to the establishment of a novel system for the nuclear transfer of human oocyte GV and MII spindle. Doctor Zhuo Lu is widely recognized as a professional contributor to over a dozen landmark studies that have been published recently and supports Darwin Life through World Class embryonic research and development. Dr. Zhuo Lu received his Bachelor’s Degree in Biotechnology from Northeast Agricultural University in China in 2002 and his Ph.D. in Developmental Biology from the Institute of Zoology at the Chinese Academy of Sciences in 2011. He has published over a dozen scientific papers including a seminal investigation published in Nature in which he personally produced the first viable iPS mouse through tetraploid complementation that proved iPS cells have the same developmental potential as ES cells. This study was reported by dozens of media outlets and was hailed by Time Magazine as one of the top 10 medical breakthroughs of 2009. He currently holds the position of Senior Embryologist at New Hope Fertility Center. 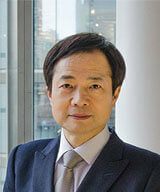 Dr. Lu contributes to the ongoing research at New Hope Fertility Center, specifically in developing and improving nuclear transfer techniques. Dr. Stoyana Alexandrova received her Bachelor’s Degree in Physics and Pre-Medicine from Bryn Mawr College in Pennsylvania, USA in 2009 and her Ph.D. in Developmental Biology from the University of Cambridge, UK in 2015. She is an interdisciplinary-problem solver who delivers quality solutions using various scientific methodologies, applying both experimental and theoretical approaches. Dr. Alexandrova has extensive experience in developmental and cell biology, chimaeras and mouse embryos, stem cells, and live (in vivo) imaging. She led an investigation on the embryonic stem (ES) cell incorporation during early embryonic development. 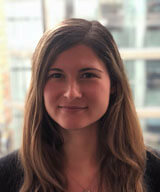 Dr. Alexandrova designed and carried out a strategy for analysis and live imaging of embryonic development. She currently holds the position of Senior Research Scientist and Project Manager at Darwin Life Inc. Dr. Alexandrova contributes to the ongoing infertility research at Darwin Life, specifically in developing and improving nuclear transfer techniques, supporting Darwin Life through World Class embryonic research and development. 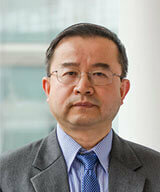 Doctor Lin Liu is currently a Professor in Nankai University in Reproductive aging and egg senescence. He has published over 120 papers in reproductive biology, in peer reviewed international journals including prestigious Nat Cell Biol, Nat Biotech, Nature, Dev Cell, Cell Rep, Cell Res, PNAS, Hum Mol Gen, Stem Cells. Doctor Lin Liu received his Doctorate degree in 1993 in Reproductive Biology and Biotechnology from Beijing Agricultural University (now China Agricultural University). He was a visiting scholar at the BBSRC Babraham Institute, Cambridge, UK, 1994-1996 and then did two year post-doctorate training in Cornell University and University of Connecticut, USA, 1996-1998. He worked as an Investigator and Assistant Professor at Women & Infants Hospital/Brown Medical School, 1998-2004. Dr Liu’s research has been focused on reproductive aging and egg senescence, molecular mechanisms underlying early embryo development and differentiation, telomere biology, and derivation and understanding biology of patient-specific stem cells (e.g. parthenogenetic and induced pluripotent stem cells). His research findings are important for regenerative medicine, particularly for treatment of reproductive aging and associated diseases. Dr. Liu has served in the editorial board of several journals in biology and reproductive biology, and received prominent awards, including Outstanding Youth Foundation of China National Natural Science Foundation in 2005 and Changjiang Scholar Program Professor appointed by Ministry of Education of China in 2003.